The pattern of men's hoodies, or rather anorak, in full size, is suitable for sewing comfortable and fashionable clothes for men with a chest girth of 104-108-112-116cm. 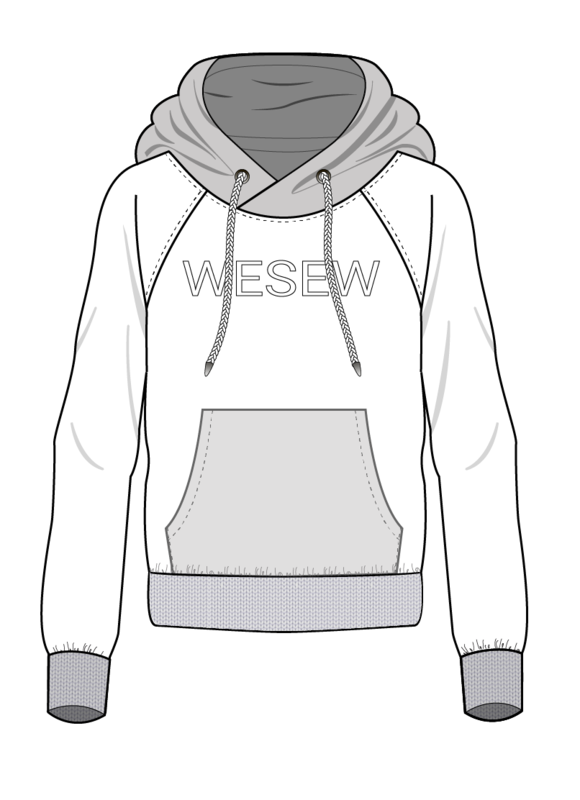 Men's sweatshirt with long raglan sleeves, a hood and a large kangaroo pocket. Sleeves and a bottom of a product on a knitted elastic band. For sewing the proposed model will fit dense knitted materials of the average degree of elongation of natural or mixed fibers. Select the material depending on the season and the destination of the finished product. The consumption of the main fabric is 2.4-2.5 m with a width of 1.5 m. For the cuffs and the stitched belt, you will need a knitted fabric into the elastic about 40 cm with a width of 1.2-1.4 m.
The pattern is sent instantly to e-mail.